whose Christmas wish will come true? DONATE! OR, become a CAB Member! Support CAB Theatre by SUBSCRIBING to an annual MEMBERSHIP. You'll get discounts on tickets and t-shirts, early entry for optimum seating, and behind-the-scenes previews! Click here to choose your membership. Best yet, you'll get an automatic renewal reminder! Or, share the love with a no-strings DONATION! Click the button below to be taken to Paypal in order to make a secure donation. 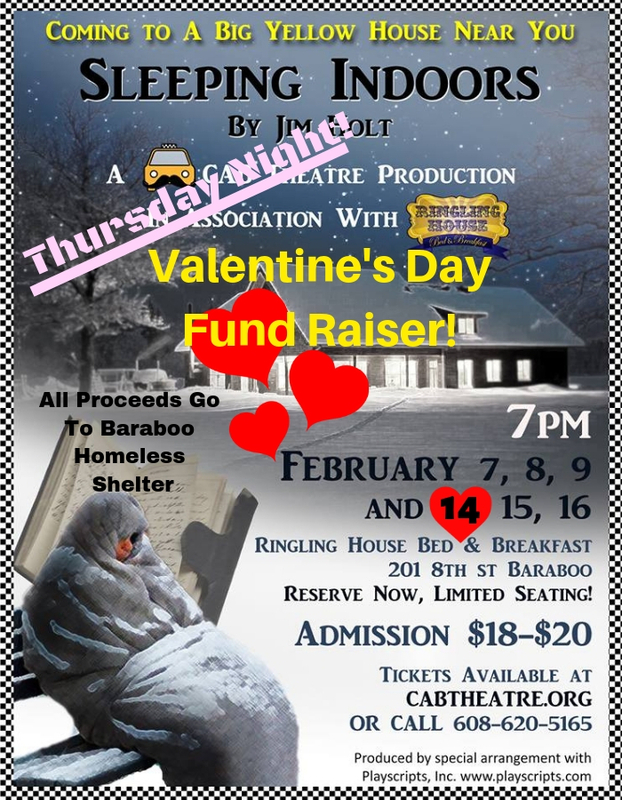 Or send a check to: PO Box 229 Baraboo WI 53913.We thank you in advance for your generosity!